What is the purpose of an annotated bibliography? What is the difference between an annotated bibliography and an abstract? 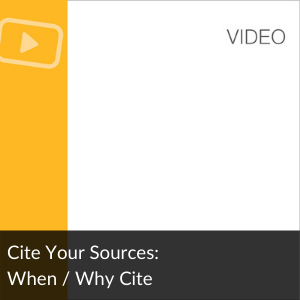 What are the two types of annotated bibliographies? How is an annotated bibliography organized? How long should an annotated bibliography be? 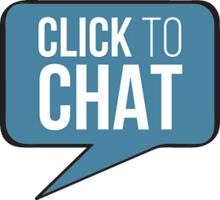 How can I improve my annotated bibliography? Book an appointment to get assistance. Each annotation enables readers to see the relationship of a number of written works to each other and in the context of the topic studied. Many annotations are both descriptive (telling readers what the source is about) and critical (evaluating the source’s usefulness or importance). A bibliography is an organized list of works consulted when you are doing research on a particular topic, which is placed at the end of a paper, journal article, chapter, or book. In the sciences and some of the more scientific disciplines of the social sciences, annotated bibliographies are rarely used; when they are used, they will often be primarily summary or descriptive—that is, they will paraphrase the original text. In the arts and some social sciences, annotated bibliographies will be judged by how critical and analytical they are and often by how the writer links the text's usefulness to their potential or imaginary research project. The summary or descriptive annotated bibliography provides a summary of the main findings in a source with no analysis or evaluation. A critical annotation goes beyond a simple summary of the original source. It evaluates the reliability of the information presented, including the authors' credentials, the value of the reference for other scholars, and, if relevant, the appropriateness of the methodologies. It evaluates the conclusions and discusses how successfully the authors achieve their aims. If the annotated bibliography is intended as a first step to a review of literature leading to a major paper, thesis, or dissertation, then it will also evaluate how useful the information and methodological approaches will be for someone doing research on a particular project. It may also indicate your own critical reactions to the sources. This might be done by indicating whether the information presented is similar or different to other authors' findings or approaches to the subject— and hypothesizing why. For example, did the author fail to take important information into consideration? Did the author take a certain approach as the result of a particular theoretical viewpoint? 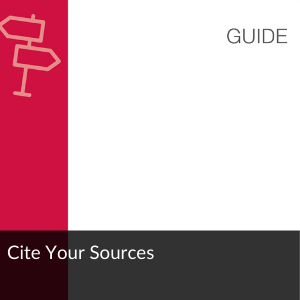 Most undergraduate-level annotated bibliographies are relatively short and will not need an introductory paragraph and/or separate sections. Longer annotated bibliographies may necessitate an introductory paragraph, explaining the scope of the selected sources (within certain dates, within geographic parameters, only in a certain discipline, etc. ), or noting any other particulars (such as abbreviations, etc.). The specific length of your annotations and the number of sources will vary from assignment to assignment. Check with your professor to find out what length and organizational style is preferred. The text of an annotation normally ranges from four to ten sentences. This limit forces the writer to focus on the central ideas in the source. In a very long annotated bibliography, the entries are often numbered, but this is rare in undergraduate student papers. Other options for longer annotated bibliographies would be to arrange entries under topic and subtopic headings, or in chronological order. Re-read the assignment instructions carefully to make certain you have included all of the essential components that you need in each annotation. Make a checklist and compare each entry against the list. Evaluate your annotations and assess whether you have included both summaries and critical evaluations for each entry. Check each citation for accuracy and consistency in language and style. Review your work to see if you have used clear and specific verbs such as demonstrates, asserts, speculates. Check your verb tenses. In general, use present tense to describe an author’s ideas and arguments (e.g., Jones argues that…). However, if you are describing an action that was completed in the past, describe it using the past tense (e.g., Smith tested her hypothesis by observing five hamsters…). Make certain that you have avoided using direct quotations, except when the words quoted are important terms that you wish to highlight. Lastly, proof read your document for errors in grammar, punctuation, and style.